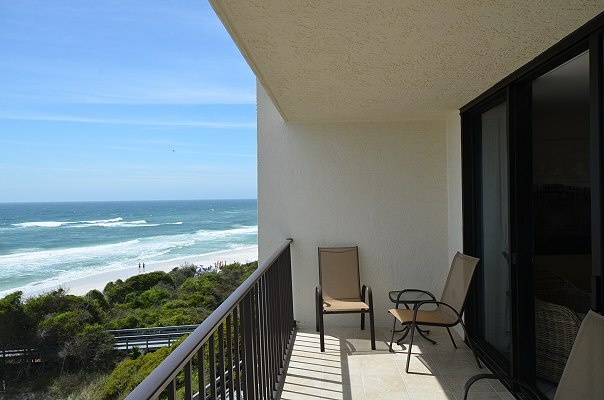 Completely Renovated, this unit is furnished with Excellent Design and is tastefully accessorized. 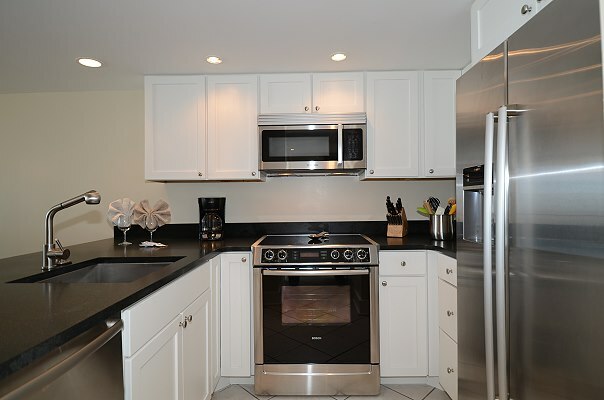 The Kitchen features all stainless steel Bosch Appliances, white cabinets and stainless sink with contemporary faucet. 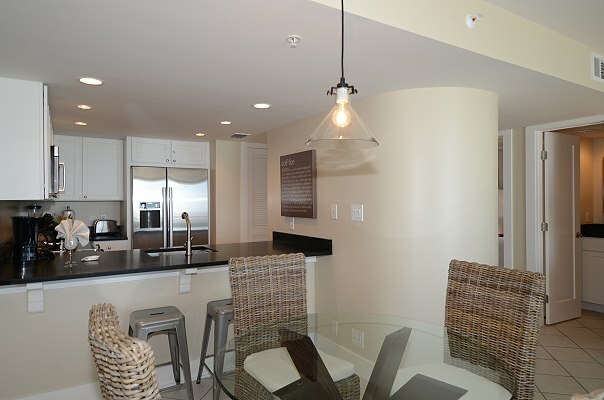 The condo is painted throughout in soft Bisque with all white trim which includes 4" block-style baseboards. 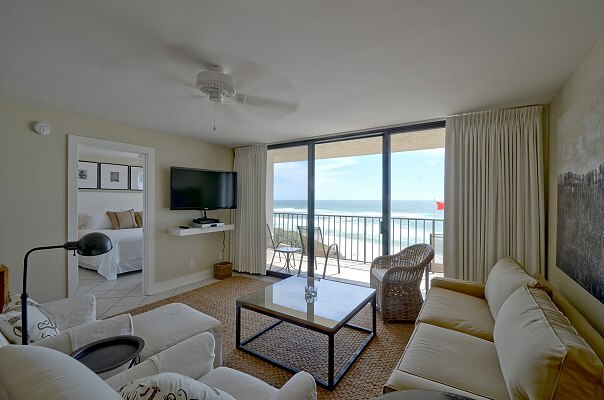 The living room is Elegantly Cozy with slip covered furniture and jute basket-weave area rug. 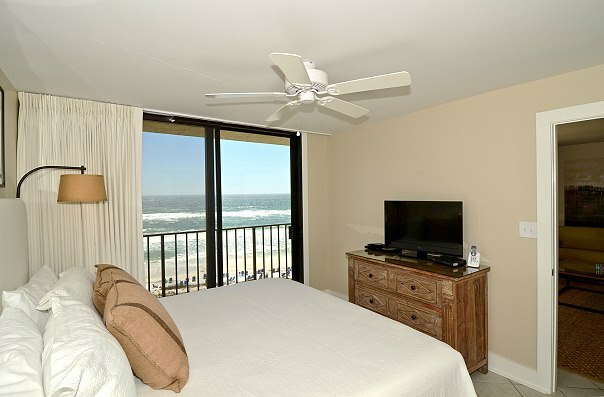 Enjoy watching TV on a 47" Flat Screen or take advantage of the Gulf Front View from the private balcony. 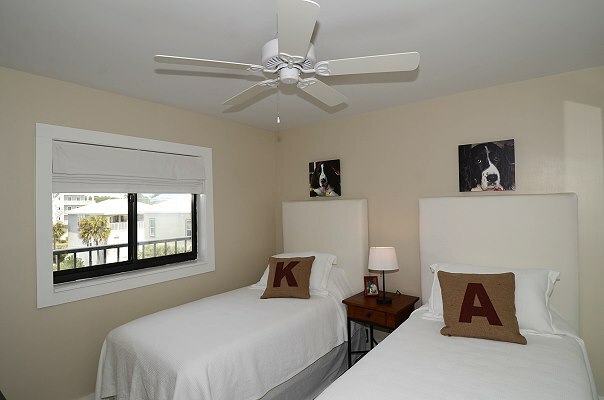 The master bedroom has a Pillow-top mattress and the master bath boasts a Walk-in Shower with black and white tile surrounding a vanity topped with black honed granite. The guest bedroom connects to the guest bathroom which features a Deep Porcelain Tub with black & white tile.